Are you a musician? Do you need help selling your music online? Then you should check out Link Fire. They help create intelligent links that route fans to the music they love, in the apps they love. They do it automatically. I recently received a link to check out new tunes from an artist and I landed on a page that redirected me to many music services. If you are a musical artist, discover Linkfire to promote your music. You remember the easy button from Staples? Well now there is one from Amazon, but this time when you press it – you place an order for stuff you need. If you never want to go to a store again, Amazon has the answer for you. Amazon Dash Button makes ordering easy. With a simple click, Prime Members can order their favorite products. This button is a Wi-Fi connected device that reorders your favorite product with the press of a button. Each Dash Button is paired with a product of your choice, which is selected through the Amazon App on your Android or iOS smartphone during the set-up process. Amazon ensures Dash Button responds only to your first press until your order is delivered. What do you think? Are you using this system? If not, would you use it? How many of you readers support Indiegogo campaigns? If you’ve never heard of Indiegogo, it’s a platform for entrepreneurs to develop products and then ask for your support to create them. Once, they get enough funding they create the product and you are the first to receive it. I think there are many items on Indiegogo that stand out, but sometimes there are just ones that are quite functional. This week’s featured item from Indiegogo is called the Undercover Backpack. It’s an item that may help during an embarrassing moment in the gym while changing! The site says, “The Undercover Backpack assists in that moment in the locker room when you need to change clothes with a flimsy towel or other embarrassing methods. It allows for easy, fast changing in or out of clothing. First, users slip it over clothing, then can use the side access openings to remove their pants. Then, other clothing can be put on beneath The Undercover.” What do you think? Is something you’d use? Please send us more Indiegogo/Kickstarter suggestions. Are you thinking of buying or leasing a new car? Did you know that Amazon now offers a way to research them? At Amazon Vehicles you can find reviews, specs, images, and more for thousands of new and classic cars. A friend of mine was recently looking for a new auto and stumbled upon this website. He really liked the it because the information was up to date and the familiarity of the Amazon site made it easy to navigate. Have you used this product? What do you think? You may have noticed recently that some merchants except the chip on your credit card and some don’t. I happily discovered that one local retailer inserted a temporary plastic card in the slot that said “coming soon” rather than letting you guess. It’s never clear if the chip reader is activated o you need to stand there waiting for a moment until the cashier tells you whether or not its OK to swipe or insert your card. If you need to insert your credit card with a chip into the slot, make sure you snugly press the card into the slot or the transaction will fail. 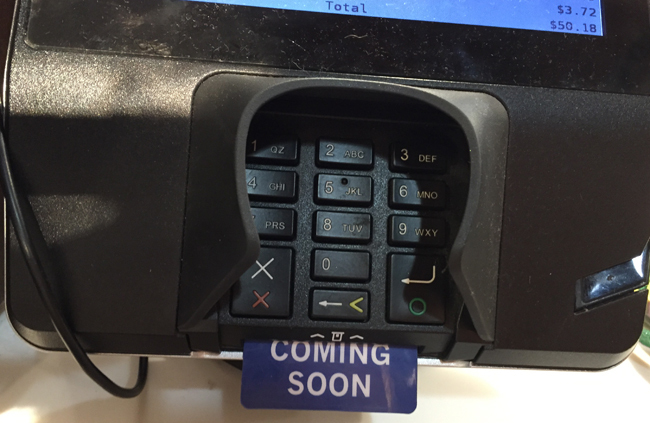 I wish all the retailers used the method of blocking the credit card chip reader slot until it was activated to avoid confusion, but the good news is eventually all retailers will have it activated so you won’t have to be left wondering. What has your chip reader experience been? How do you shop? Do you consider yourself a savvy shopper? Check out these five tips to improve the way you shop and make it better. Do you have any tips to shop better? So you’ve got a gift card sitting in your kitchen drawer and you are not sure what’s left on it. Why not spare yourself the pain of getting to the cash register at that retail store to find out there is only a few cents left on it? At Card Balance, you can check the amount of almost any gift card instantly. All you need is the gift card, account number and access code to find the balance. Do you need some new style? Get clothing and accessories hand-selected by a personal stylist, delivered to your door. Then you can find your style along the way. A co-worker started using this service and really enjoyed the quality of clothing and personal assistance received from the company. If you need a wardrobe, perhaps start here? Are you planning on getting married? Do you know your ring size? If you don’t remember then you can find out quickly with Find My Ring Size. Try this easy website that will tell you in three steps what your ring size is.